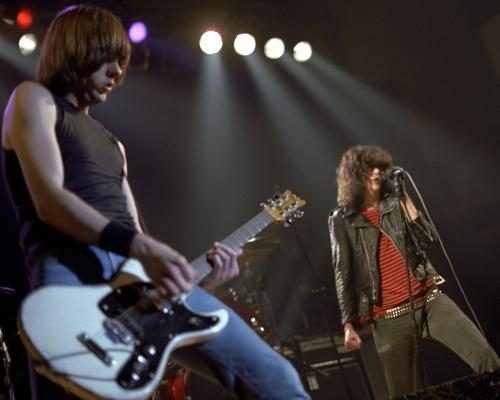 With their onstage personification of unity and their breakneck ‘short, fast, and loud’ performances, the Ramones are remembered as the first band of their kind — launching the punk rock movement. Yet, this group’s authority surpasses the realm of music. 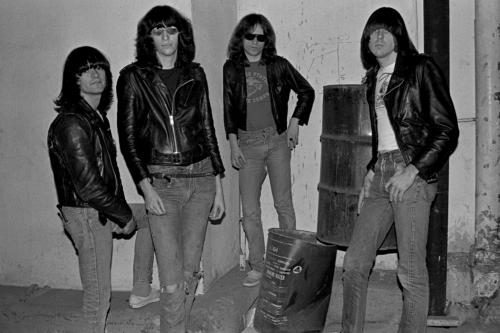 Original members Joey, Johnny, Dee Dee, and Tommy collectively infiltrated the worlds of fashion, photography, and pop culture; images associated with the Ramones remain as iconic today as they were when they formed in 1974. The band’s shared sense of style is key to this legacy: a countercultural unison combining long hair, leather jackets, Levi’s 505 jeans, and Converse All Stars. 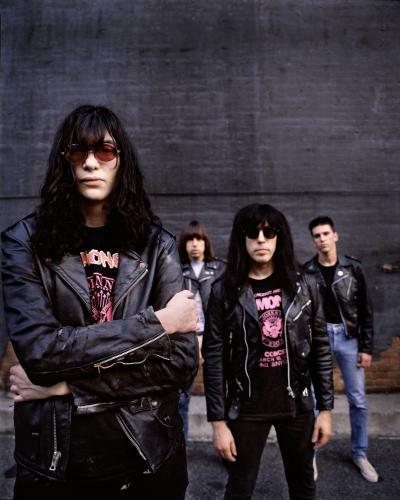 As well as taking on the surname ‘Ramone’, their style identified them as members of the same gang — one that any self-respecting punk rocker would do anything to be a part of. 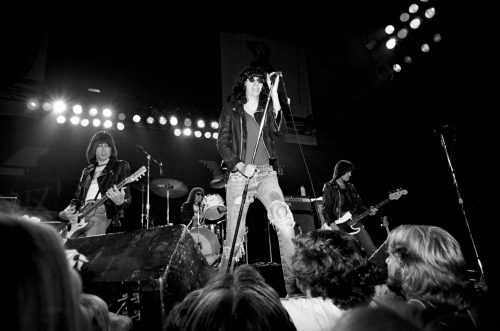 The Ramones were synonymous with the New York music scene surrounding legendary rock club CBGB’s. After witnessing their first performance at the club in ‘74, Punk magazine founder Legs McNeil described the band’s performance as ‘something completely new’. 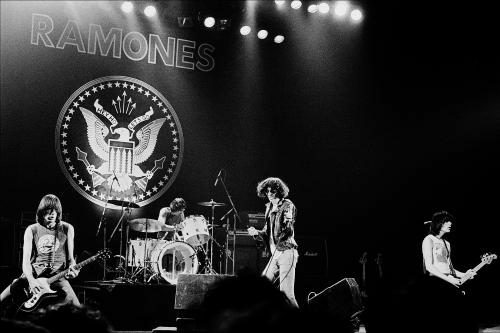 This association with CBGB’s elevated Ramones’ status as leaders of the new wave movement, alongside bands such as Blondie, Television, and Talking Heads. 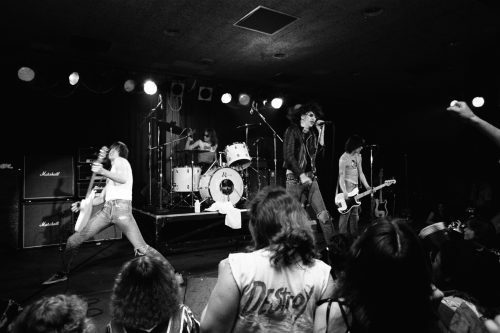 Songs like ‘Blitzkrieg Bop’ and ‘Sheena Is a Punk Rocker’ were performed with relentless speed and ferocity. 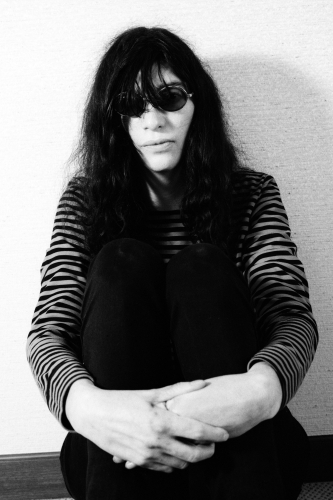 This same live-fast mentality would eventually prove fatal to the Ramones: by 2014, all four of the band’s original members had died. However, their experimental contributions to both music and society will not be forgotten in a hurry.